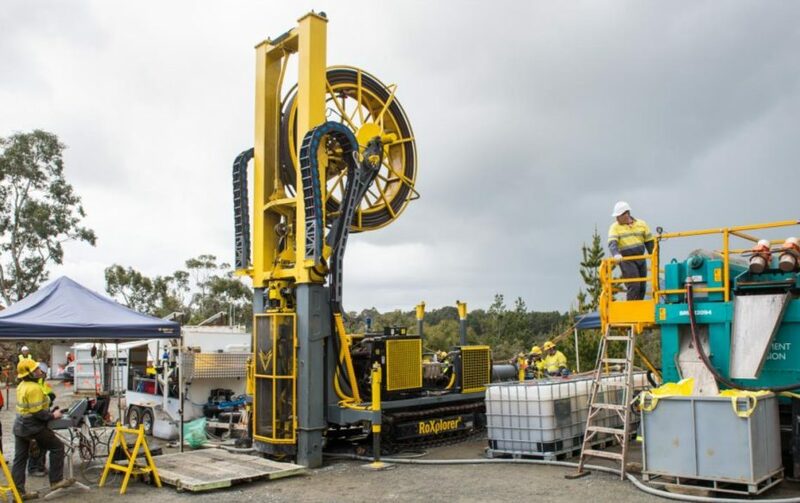 IMDEX, a leading mining equipment, technology and services (METS) provider to the global minerals industry, today announces its licence agreement to progress a revolutionary new drill rig – The RoXplorer® coil tubing (CT) rig – developed by the Deep Exploration Technologies Cooperative Research Centre (DET CRC). The RoXplorer® CT rig utilises a continuous steel coil rather than the individual drill rods currently used. The need to connect and disconnect these rods while tripping in and out of the hole is eliminated and therefore, drilling is safer, faster and cheaper. “The RoXplorer® CT rig is a technology that could be disruptive to conventional drilling methods with the promise of significant productivity, safety and environmental performance. The RoXplorer® CT rig is driven by downhole motors, is compact and consumes less fuel. It also has a smaller footprint and can be used with IMDEX’s award winning solids removal units, which replace traditional earthen sumps and deliver substantial environmental benefits. The rig is also complementary to IMDEX’s core solutions, which integrate the company’s leading brands AMC and REFLEX. These end-to-end solution sets include: Drilling Optimisation; Downhole Navigation; Driller Operable Geophysics; and In-Field Geoanalysis. A prototype of the rig is undergoing final preparations for a drilling trial at a Barrick Gold exploration site in Nevada, USA. This trial will also incorporate IMDEX’s Lab-at-Rig® technology, which will provide real-time geochemistry from the drill cuttings. Mining companies and other participants of the DET CRC will be monitoring the trial results with great interest. IMDEX joined the DET CRC in 2012 and was an active participant for the duration of the research co-operative. During this time with the DET CRC, IMDEX co-developed and commercialised a number of technologies to advance the minerals industry including: the IOCG Prospectivity Index, IMDEX Lab-at-Rig® and Wavelet Tesselation software.